This post is sponsored by Kinder. Content and opinions, as always, are my own. 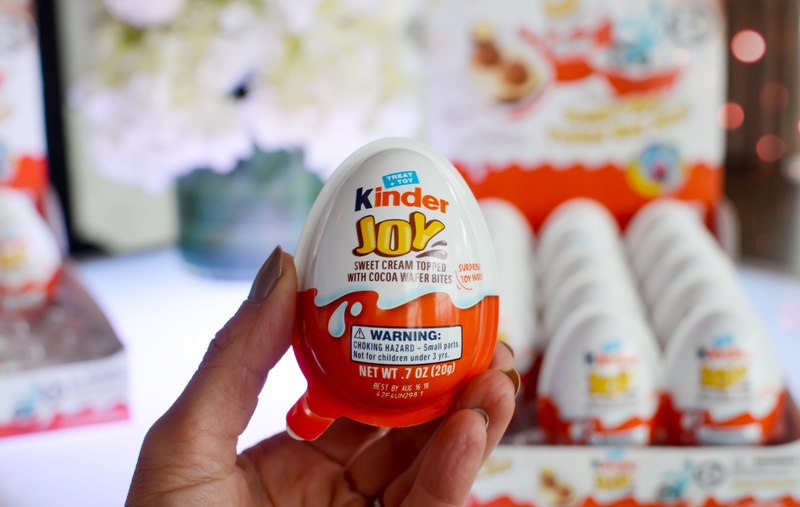 There’s no longer a need to travel overseas to pick up those coveted Kinder Eggs because Kinder Joy has finally come to America! 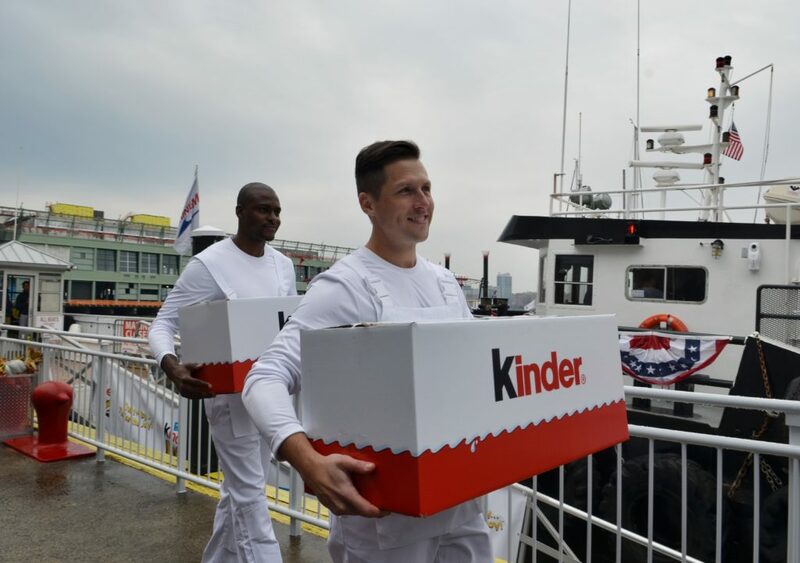 I couldn’t wait to join Kinder at their official launch at Manhattan’s Pier 59 to get my hands on the exciting treat. The lovely Malin Akerman joined in the excitement as the official shipment pulled into Chelsea Piers. 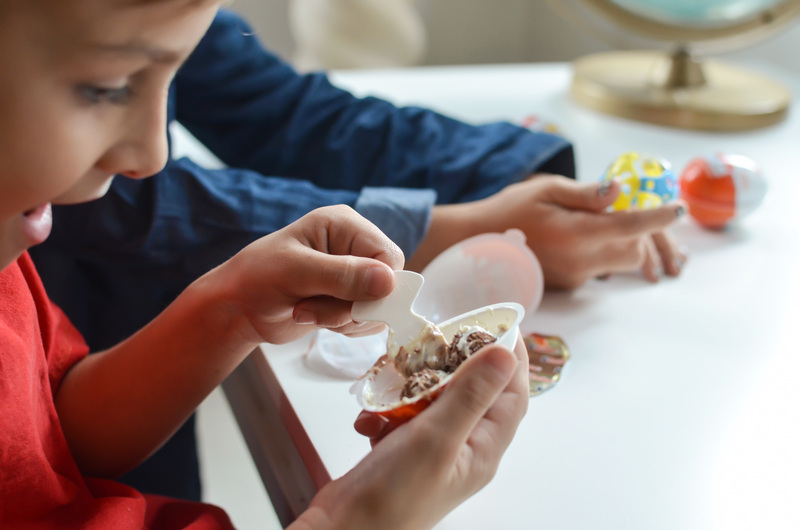 And she shared a sweet story of getting to finally enjoy the nostalgic treat from her childhood abroad with her son, who also came along for the Kinder festivities. 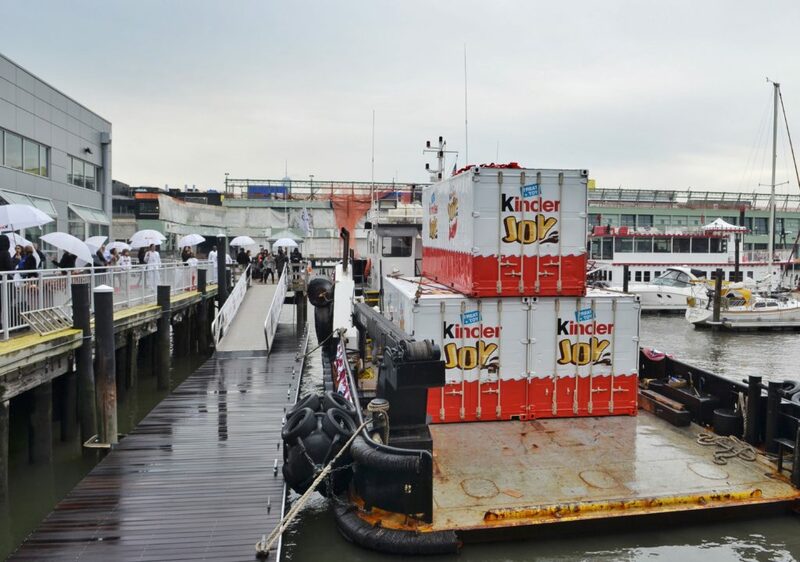 Check out the Kinder Joy shipping crates pulling into Chelsea Piers. That’s a lot of Kinder! 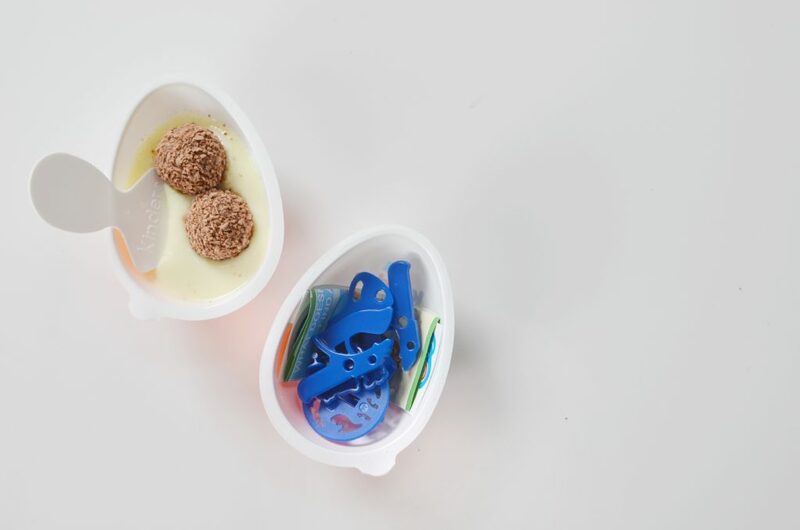 Eager parents couldn’t wait to introduce the treat + toy to their kiddos as the first official Kinder Joy products rolled (or sailed!) in. 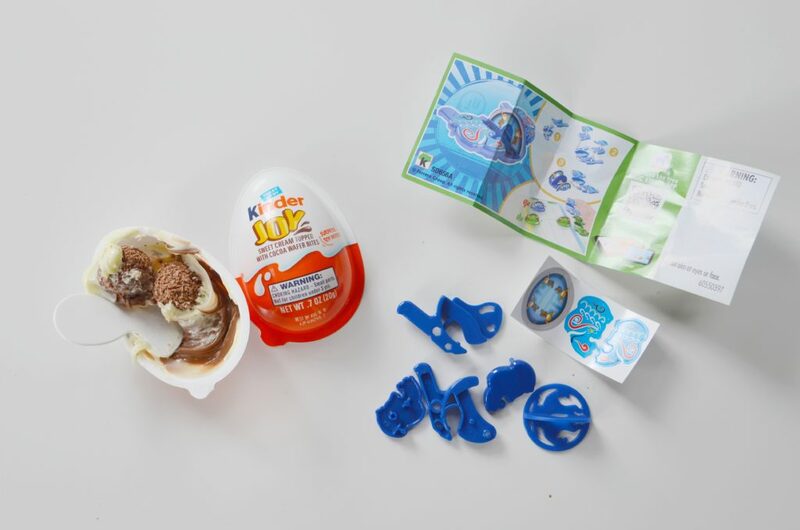 Popular overseas – we’re pretty confident that Kinder Joy will soon be flying off the shelves! Wondering what all the hype is about? 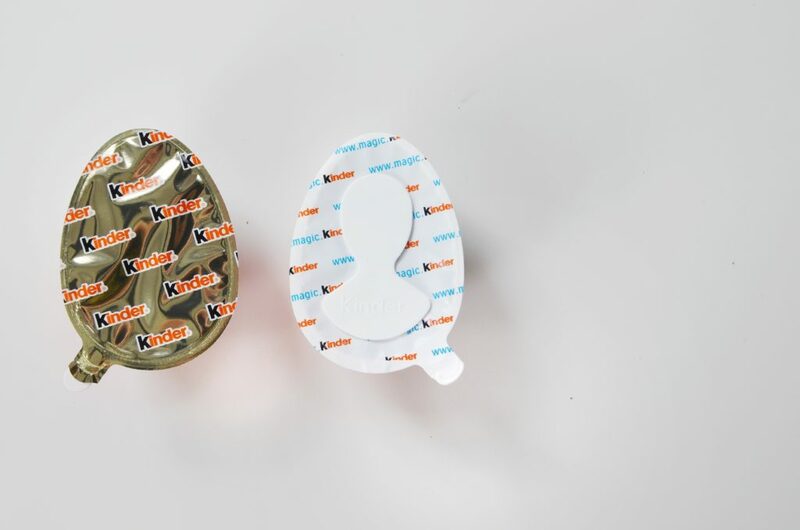 Kinder Joy is a plastic egg that splits down the middle to reveal two separately sealed halves. One side contains a treat and the other, a toy! The treat side, comprised of two soft cream layers (sweet milk-cream and cocoa), along with two chocolate-covered wafer bites – filled with sweet cocoa cream – is simply divine. You better believe that someone licked the included spoon clean! 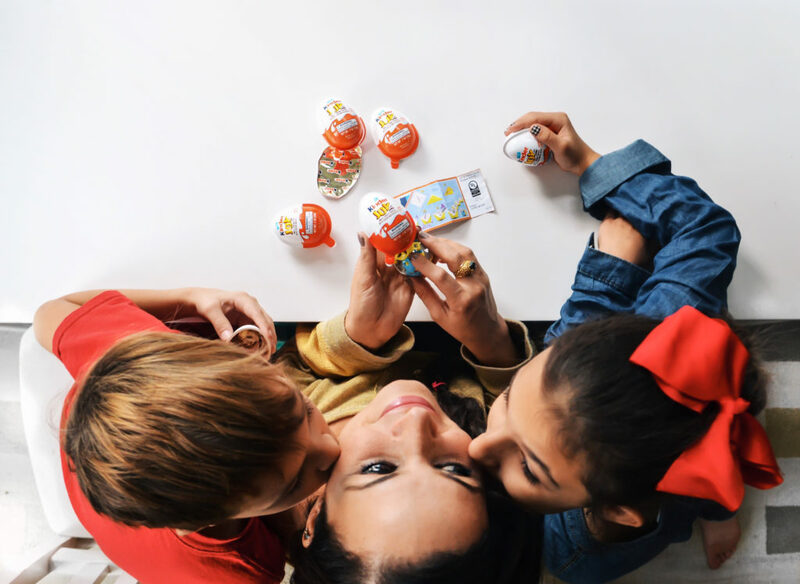 And the separately sealed toy side contains one of over 40 different toys – creatively designed for kids to assemble and engage in fun play alongside their parent. Your kids will have a blast putting their little toys together. And if you’re lucky, they’ll hopefully share the treat side with you! I’m pretty sure that these kids love me extra when I come home with treats! 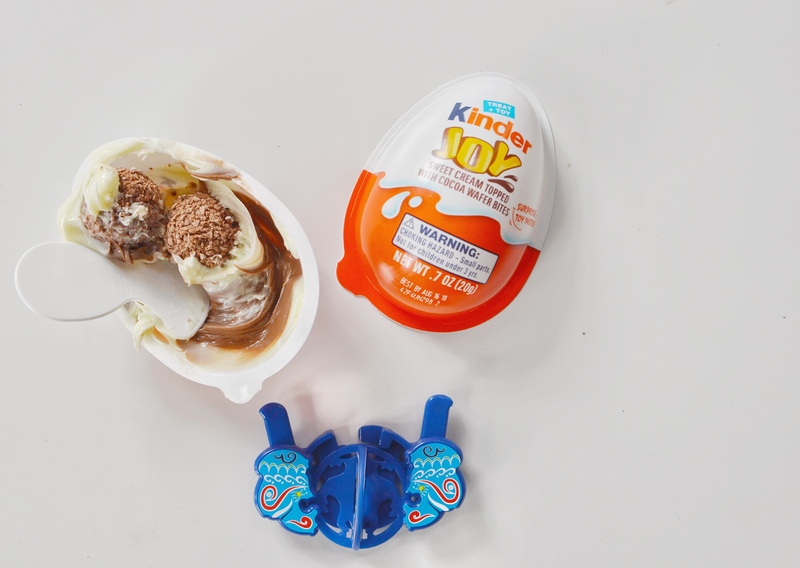 And Kinder Joy was the perfect way to add a little surprise to my littles day after returning home from a long work trip the evening prior. I happen to love sharing in their joy (more than anything, really) too. See ya’ in the Kinder isle!